I have to admit, since I have been living in NYC for over 17 years I have not driven a car since. When I met my husband, then boyfriend Chris 13 years ago he drove a stick shift and still does and so, I never drive. Well, the self-guided North Fork Foodie Tour would be my debut getting back on the road. My husband Chris was busy working on our upcoming "Sheridan Green" residence, so I borrowed my Parent's car and drove from East Quogue to Southold, about a 30 minute drive. Happy to say I arrived there safely. I remembered the rules of the road, donated some change to a boot drive for the local fire department along the way and not one scratch on the car. However, it took me 20 minutes to figure out how to shut off the windshield wipers. Long story short, our next car for sure will be an automatic once our house is built! My self-guided tour to meet the folks who dedicate their lives to producing unique local foods began at the Peconic Land Trusts Learning Center at Charnews Farm in Southold. I was handed a map listing 17 places to see and I only had 6 hours to complete my tour. Before I set-off to plan my day I stopped by the Slow Food East End table. I love what this organization stands for and was a perfect way to start out on my journey. I picked four places to visit, which I thought would be a good variety for the day. 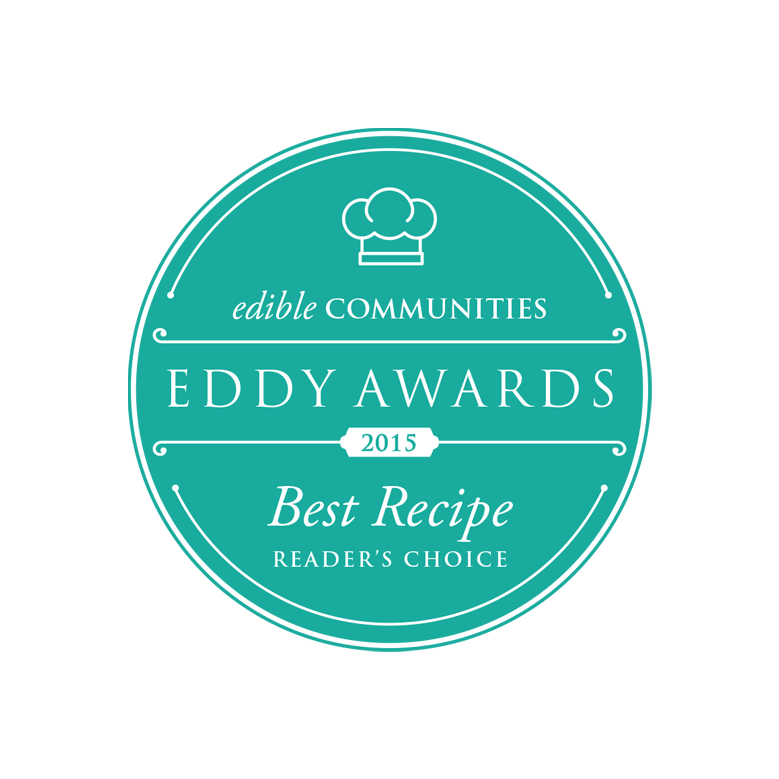 North Fork Egg Farm, Catapano Dairy Farm, Koppert Cress and TY LLWYD Farm. It was hard to decide considering they are all worthy for a visit. Mathew Bloch is the owner of this great North Fork Egg Farm. 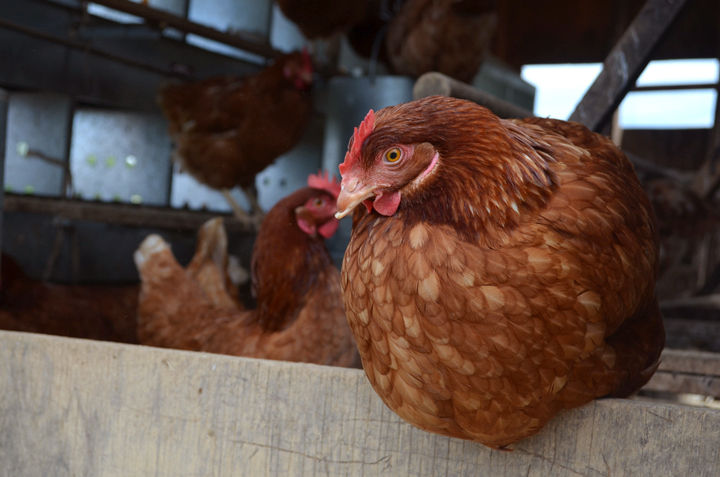 There are 275 humanely raised free-range hens that feed on organic grain and graze on untreated, unfertilized pastureland. Chicken Breeds are: The Rhode Island Red, Barred Rock, LegHorn and Marans. The movable coop system is something to see. No ticks in sight on this parcel since they eat all insects. I see hens at our future home, to help ward off ticks and feed our bellies. This small family operation raises their goats and makes the most delicious and healthy products: Goats fresh milk cheese, yogurts, fudge and goat milk skin care. The goats were very sociable and willing to pose for a photograph since they are the star of the show! Highlight for me was their award-winning Chévre as well as their Sun Stream Solar Panels which supplies one-third of their electric bill. This state-of-the-art greenhouse facility is so impressive and the taste of these outstanding morsels is equally impressionable. 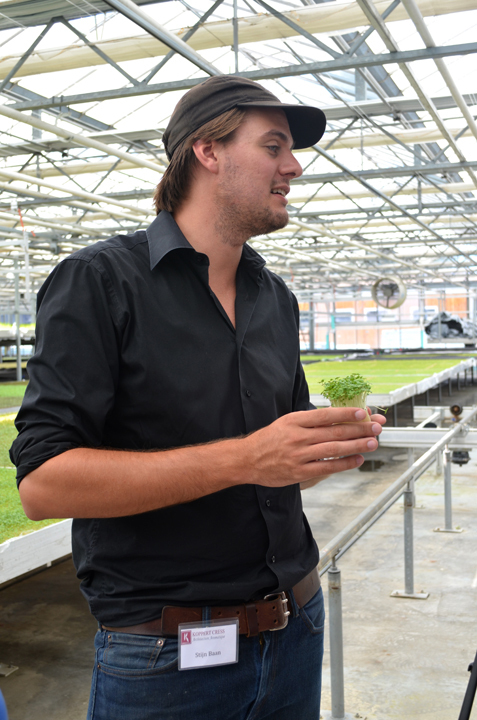 They produce unusual varieties of aromatic herbs grown as micro-greens, micro-vegetables and specialties. Although 99% of their product is for Chefs, you can buy them seasonally from their stand out front. There were a few families on my tour and the children were so inquisitive about the products, especially the Sechuan Buttons that reminded me of Pop-Rocks with a numbing effect. I thought to myself what a perfect gateway product to get kids to learn about farming and flavor profiles. Not only did it peek the children’s curiosity but adults as well. I cannot wait to use their product and hope they go mainstream for the general public to consume! Raw milk anyone! 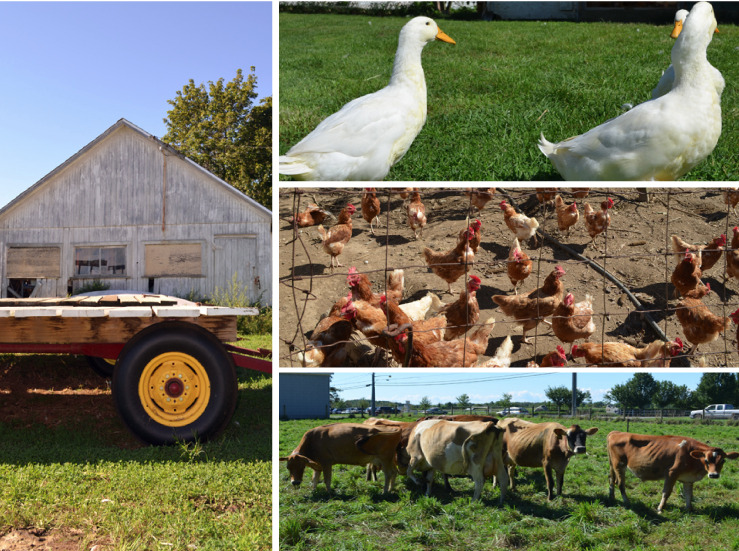 TY LLWYD Farm has been active since 1870 and is the only certified raw milk dairy on Long Island and a plus, they have a solar-powered water heater to wash the milk bottles. Love that! Their milk comes from 9 Jersey cows. The farm also raises DeKalb Gold chicken, ducks and geese; and grows a wide variety of vegetables and unusual varieties of potatoes. David Wines who owns the farm with his wife Liz gave us the last tour of the day. When you meet David you are automatically thrown back to 1870, experiencing his families heritage, approach and sincerity in being a farmer, he is the real deal! This was my last stop on the Tour and I wish it lasted another day! I Cannot wait to make some ice cream from their raw milk! The North Fork Foodie Tour left me inspired and I will be whipping up something yummy in my kitchen this week to share with you all. The North Fork Foodie Event was presented by the North Fork Reform Synagogue.